Or would it depend on the moon? Main question: Would a massive tide be closer to A or B or C(something else)? You cannot have neither A or B. Of the two, B is the more implausible: the water is being pulled in 3 directions (up, right and down) by a single moon. 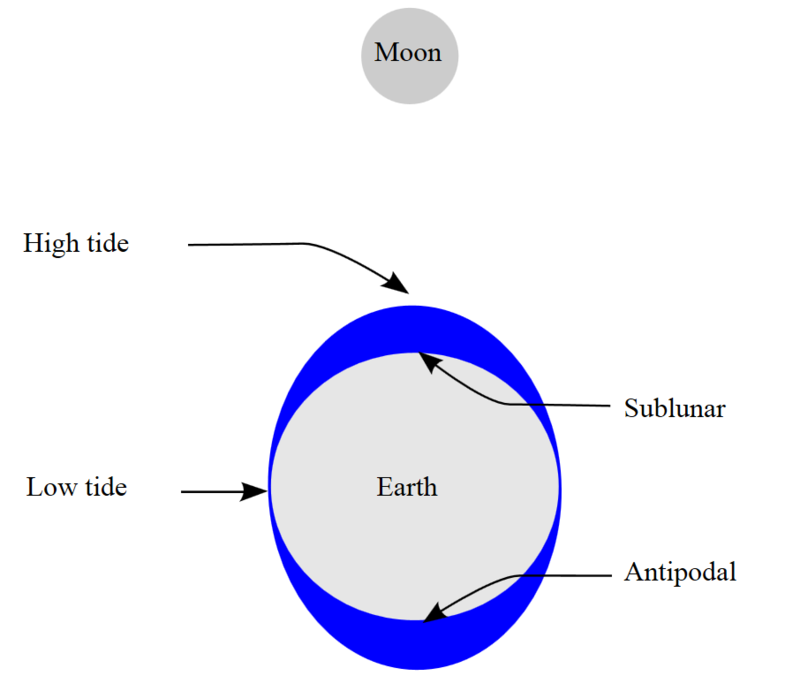 About A, I would expect the two spheres (solid and liquid) to share the same rotation axis, and thus a non zero tidal height also on the side opposite to the moon, more or less like it happens on Earth. The poles would practically experience constant low tides. 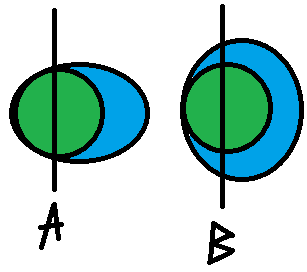 A situation like A or B would not be happening around one of the principal axis of inertia, and therefore could not happen spontaneously. Not the answer you're looking for? Browse other questions tagged moons water tides or ask your own question.